Wales ended a 10-year wait for victory over Australia with a gutsy 9-6 win in a scrappy November international at the Principality Stadium on Saturday. Not since November 2008 had Wales beaten the Wallabies, who had racked up 13 straight consecutive wins over Warren Gatland's side. But two penalties from Leigh Halfpenny and a nerveless late three-pointer from Dan Biggar was enough to make it seven straight wins for Wales in a match riddled with handling errors. It could have been even more comfortable had the usually reliable Halfpenny not missed two simple kicks by his lofty standards in an arm-wrestle of a contest. Australia, though, have now won just three of 11 Tests in 2018 and the pressure will only continue to grow on under-fire coach Michael Cheika just a year out from the Rugby World Cup. Wales break the cycle with a trojan-like effort! There was little of note in an attritional first half, with Halfpenny's wayward kicking the main talking point. The full-back had already missed a relatively simple effort by the time he split the posts to put Wales on the board. Australia were looking the more likely to score a try, but only had a Bernard Foley three-pointer to show for their efforts after Wales were pinged for offside. But Wales should have gone in front before the break, a shocked Halfpenny pushing a simple effort in front of the posts wide. The game became increasingly scrappy in the second half, with Australia guilty of knock-ons at key moments and Wales equally frustrating with a couple of nudges forward. 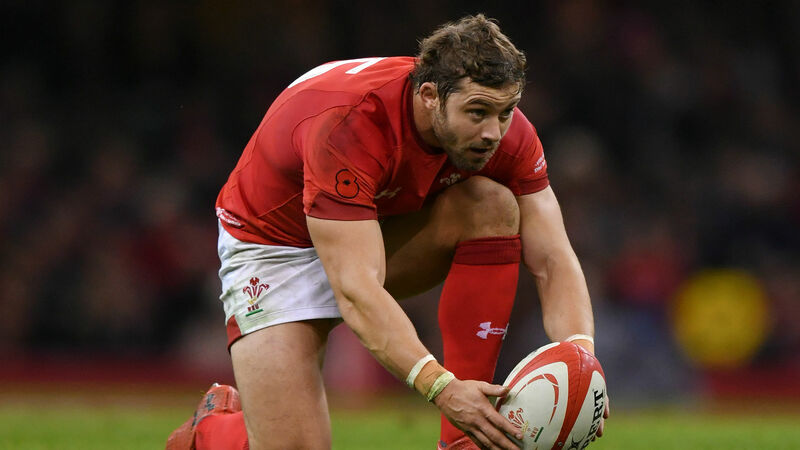 Halfpenny had the chance to exorcise his first-half demons with 12 minutes remaining, though, after Australia were pulled up for an infringement at the ruck. From a similar position to his first half shocker, Halfpenny again did not make the cleanest contact but did manage to just land the effort inside the right-hand post. The home crowd let their annoyance known when Halfpenny was wiped out by Samu Kerevi. There was seemingly no malice but did appear to be shoulder-to-head contact. Shortly after the frustrations were worsened when Wales were pulled up for holding and Matt Toomua nailed a lengthy kick from the right touchline. But Biggar, on as a replacement for Halfpenny, kept his cool with a kick from the 22 line when Australia were guilty of laying in on the ruck and Wales were left to celebrate a famous win.